Sensor deployment made as simple as cutting and attaching strips of tape. Developed by students from MIT Media Lab’s Responsive Environments group, SensorTape is a sensor network in the form factor of masking tape. Inspired by the emergence of modular platforms throughout the Maker community, it consists of interconnected and programmable sensor nodes on a flexible electronics substrate. In other words, it’s pretty much a roll of circuits that can be cut, rejoined and affixed to various surfaces. And what’s even cooler is that it’s a completely self-aware network, capable of feeling itself bend and twist. It can automatically determine the location of each of its nodes and the length of the tape, as it is cut and reattached. As the neighboring nodes talk to one another, they can use their information to assemble an accurate, real-time 3D model of their assumed shape. Tapes with different sensors can also be connected for mixed functionality. SensorTape’s architecture is made up of daisy-chained slave nodes and a master. The master is concerned with coordinating the communication and shuttling data to a computer, while each slave node features an ATmega328P, three on-board sensors (an ambient light sensor, an accelerometer, and a time-of-flight distance sensor), two voltage regulators and LEDs. The master contains the same AVR MCU, as well as serial-to-USB converter and a Bluetooth transceiver. The tape can be clipped to the master without soldering using a flexible circuit connector. Aside from its hardware, SensorTape has black lines that instruct where it’s okay to cut and break the circuits using a pair of scissors. As you can see in the image above, this can be either in a straight line or on a diagonal, which allows you to piece together the tape into 2D shapes just as you would when forming a picture frame. Although still in its infancy, sample use cases of SensorTape include everything from posture-monitoring wearables to inventory tracking to home activity sensing. What’s more, the team has created an intuitive graphical interface for programming the futuristic tape, and it’s all Arduino-friendly so Makers will surely love getting their hands on it and letting their imaginations run wild. You read all about the project in the MIT group’s paper, as well as on Fast Company. This entry was posted in Boards & Platforms, Cool Things and tagged ATmega328P, Media Lab, MIT, SensorTape on February 24, 2016 by The Atmel Team. Will drones become the furniture of tomorrow? For starters, L’evolved features a drone that acts as a floating desk capable of switching positions, changing heights and flying along as you move. It will even auto-eject if you try to use the wrong pen while completing an assignment or filling out paperwork, and leaves when you’re all done (or in need of a break after working too hard). 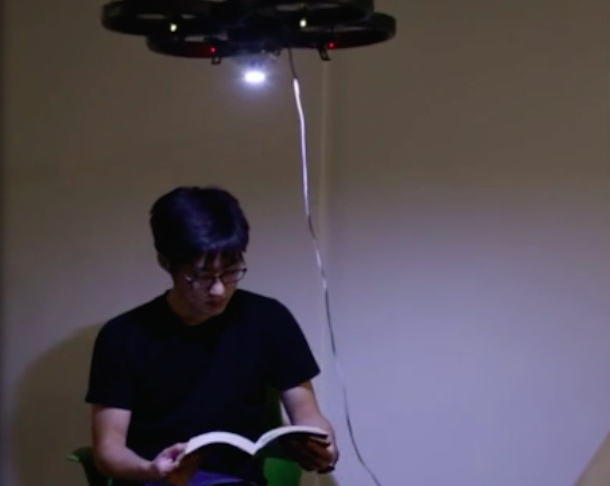 The MIT duo has also developed a smart lamp drone that hovers above you to let you read in the dark. By tracking and following its user, the gadget can impressively adapt to different places and postures. What’s more, it can help remotely locate a misplaced book with only a press of a button. L’evolved consists of two parts: a ground control tower for tracking and fixing the drone’s position and an IR motion capture system. A camera helps keep tabs on everything in the room, including the user and the drone, which receives commands from the computer via Wi-Fi. PID control enables the flying agent to move towards a goal position and provides additional stability. Meanwhile, power is fed through a wall socket, though admittedly this is one aspect of the project that the Makers are looking to improve. 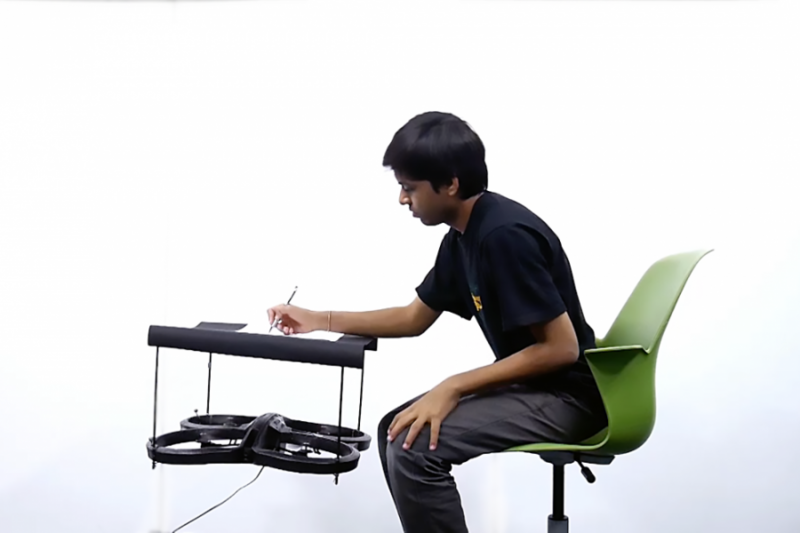 Agrawal reveals to Motherboard that in the future, the team hopes to optimize steadiness by replacing a hovering desk with one that parks in front of users whenever it’s needed and then clears itself off when the user has finished the task at hand. Intrigued? Head over to the L’evolved’s official page to learn more, and see it in action below! This entry was posted in Drones, Maker Movement and tagged drones, Enchanted Objects, Fluid Interfaces Group, Flying Smart Agents, IoT, MIT on October 12, 2015 by The Atmel Team. Maker uses an Arduino, Raspberry Pi and LEDs to create a real-time map that keeps tabs on Boston’s trains. 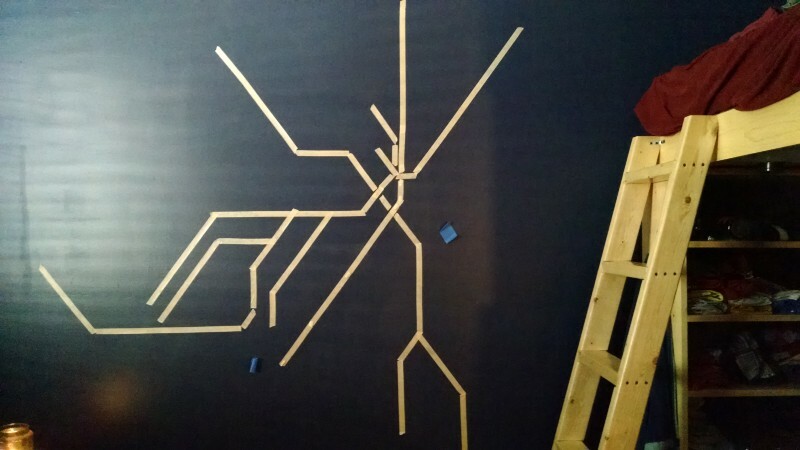 Inspired by his love for making and public transit, MIT student Ian Reynolds has built an MBTA map into the wall of his fraternity room to show real-time locations of vehicles using bright LEDs. The Maker employed a few meters of NeoPixels, driven by an Arduino Uno (ATmega328) that takes orders from a Python script running on a Raspberry Pi lying on his floor. The color of the LEDs were specially designed to match those of each transit line (e.g. red line, blue line, green line, orange line, etc.). Every 10 to 15 seconds, the system receives data via the MBTA’s API, which in turn, causes the respective lights to flash based on the trains’ approximate GPS location throughout Boston. Intrigued? The Maker has put together an elaborate blog post that breaks down his entire project, from the hardware to the headaches. You can also get a glimpse of it all below! 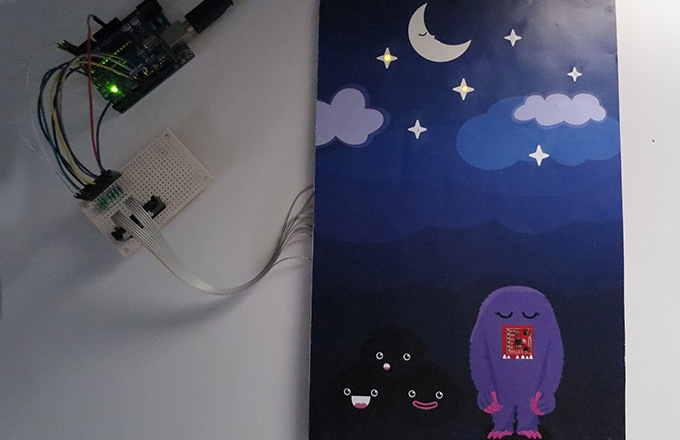 This entry was posted in Arduino, Maker Movement and tagged Adafruit, Arduino, LEDs, Makers, MBTA, MIT, Neopixels, Raspberry Pi on September 30, 2015 by The Atmel Team. 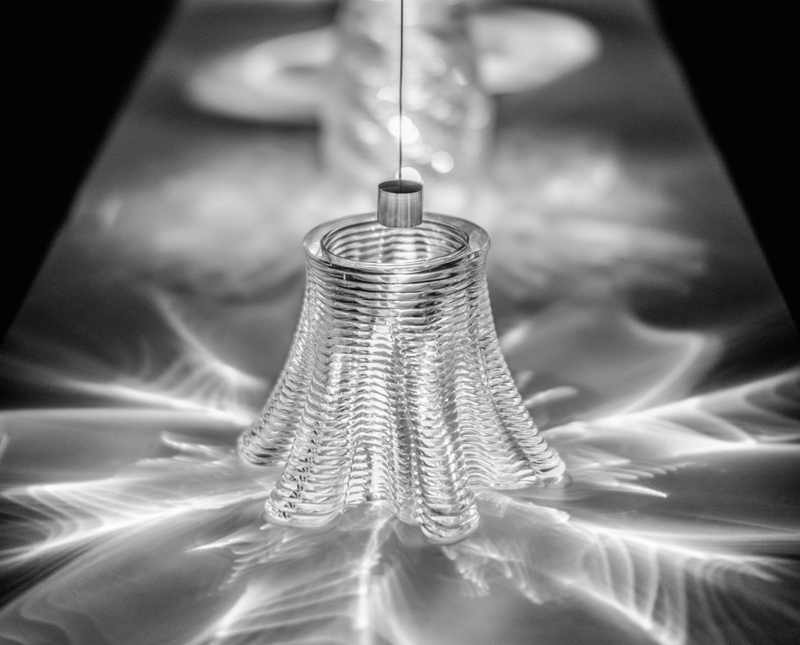 Think of G3DP as the next generation of glassblowing. Remember the days when 3D printers were only capable of using plastic filament? Well, the times have changed. Chocolate, ceramics, metal, living tissue — these are just some of the materials now being spit out to make an assortment of things, from the practical to the absurd. Next on that ever-growing list? Glass, thanks to a team of researchers at MIT’s Mediated Matter Group. That’s because the group has developed an unbelievable 3D printer that can print glass objects. The device, called the G3DP, consists of two heated chambers. The upper chamber is a crucible kiln that operates at a temperature of around 1900°F, and funnels the molten material through an alumina-zircon-silica nozzle, while the bottom chamber works to anneal the structures. The machine doesn’t create glass from scratch, but instead works with the preexisting substance, layering and building out beautifully-constructed geometric shapes according to designs drawn up in a 3D CAD program. This printing method shares many of the same principles as fused deposition modeling (FDM), which is commonly employed by most 3D printers today. 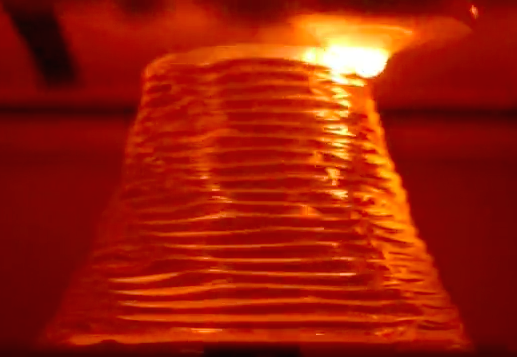 Except that it can operate at much higher temps and uses molten glass as the medium, opposed to plastic filament. How does it all work, you ask? The glass is first melted at an extremely high temperature over a period of roughly four hours. For another two hours, it undergoes a fining process, in which helium may be introduced to the molten material to enlarge and carry small bubbles to the surface, eliminating them. During this stage, the extruder has to be kept cool so that the glass doesn’t begin flowing. Once fining is complete, the crucible and nozzle are set to temperatures of 1904°F and 1850°F, respectively, and the extrusion process begins. The G3DP is controlled by three independent stepper motors, as well as the combination of an Arduino (assuming based on an ATmega2560) and RAMPS 1.4 shield. At this time, the researchers have used G3DP to craft things like vases, prisms, and other small decorations, some of which will be on display at the Cooper Hewitt, Smithsonian Design Museum next year. As impressive as this may sound, it’s even more mesmerizing to watch it in action. It will surely be interesting to see how the G3DP will influence art, architecture and product design in the future. Intrigued? You can read the team’s entire paper here. This entry was posted in 3D Printing, Arduino and tagged 3D Printing, G3DP, Glass 3D Printer, Glass 3D Printing, Mediated Matter Group, MIT on August 27, 2015 by The Atmel Team. 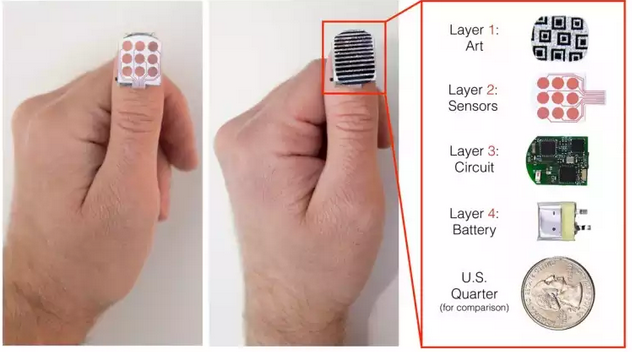 This wearable input device from MIT’s Media Lab is in the form of a commercialized nail art sticker. You’ve been there before: Your arms are full and the phone rings. You put everything down only to find out that it was a telemarketer. Or, while in the middle of preparing dinner, you need to scroll down the recipe page on your tablet. With your hands a mess, you first have to wipe them off before proceeding with the instructions. Fortunately, situations like these may be a thing of the past thanks to a new project from MIT Media Lab. 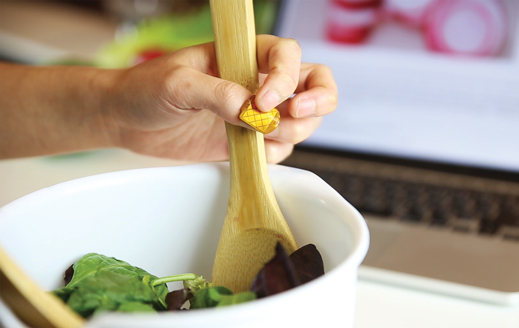 Led by Cindy Hsin-Liu Kao, a team of researchers have developed a new wearable device, called NailO, that turns a users thumbnail into a miniature wireless trackpad. Resembling one of those stick-on nail accessories, NailO works as a shrunken-down trackpad that connects to a mobile device. This enables a wearer to perform various functions on a paired phone or PC through different gestures. And for the fashion-conscious, its creators envision a future with detachable decorative top membranes that are completely customizable to better coordinate with a wearer’s individual style. Along with its use in hands-full activities like cooking or doing repairs, another potential application for the quarter-sized trackpad includes discreetly sending a quick text message in settings where whipping out a smartphone would be rude. After all, running a finger over a thumbnail is a natural occurrence, so a majority of folks would hardly notice this as a deliberate action to control a gadget. Crammed within the small package of the NailO lie a LiPo battery, a matrix of sensing electrodes, a Bluetooth Low Energy module, a capacitive-sensing controller, and an ATmega328 MCU. With an average power consumption of 4.86 mA, the device can wirelessly transmit data for at least two hours — an ample amount of time for those in a meeting, in class, in a movie theater, or while working around the house. In order to get started, wearers must first power it up by maintaining finger contact with it for two or three seconds. From there, users can move their index finger up-and-down or left-and-right across its surface, guiding the mouse on its synced device. To select something onscreen, simply press down a finger as if it were a mouse or a touchscreen. “As the site for a wearable input device, however, the thumbnail has other advantages: It’s a hard surface with no nerve endings, so a device affixed to it wouldn’t impair movement or cause discomfort. And it’s easily accessed by the other fingers — even when the user is holding something in his or her hand,” the team writes. For their initial prototype, the researchers built their sensors by printing copper electrodes on sheets of flexible polyester, which allowed them to experiment with a range of different electrode layouts. But in future experiments, the team notes that they will be using off-the-shelf sheets of electrodes like those found in some trackpads. The Media Lab crew has also been in discussion with many Shenzhen-based battery manufacturers and have identified a technology that they think could yield a battery that fits in the space of a thumbnail — yet is only 0.5mm thick. In order to further develop the size of a nail art sticker, the Media Lab worked with flexible PCB factories for a slimmer and bendable prototype, which could conform to the curvature of a fingernail. We’ll have to go out on a limb and say it: looks like this project ’nailed’ it! Want to learn more? Head over to the project’s official page here, as well as read MIT Technology Review’s latest piece on finger-mounted input devices. This entry was posted in Maker Movement, Touch Technology, Wearables and tagged ATmega328, Bluetooth, MIT, MIT media lab, Nail Trackpad, NailO, Thumb Trackpad, wearable tech, Wearable technology, Wearables on July 29, 2015 by The Atmel Team. They say stories can come to life, and well, these projects have taken that saying to an entirely new level. 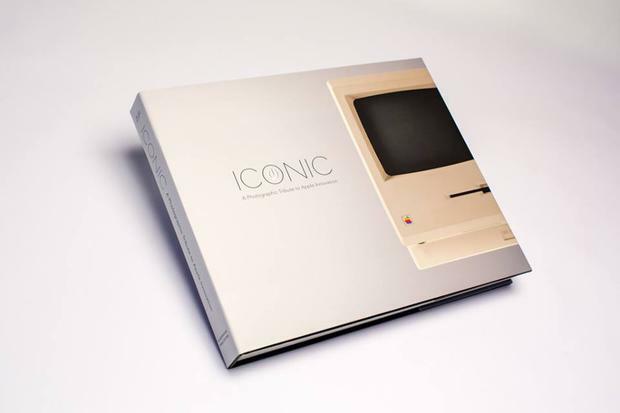 Jonathan Zufi’s coffee table book entitled “ICONIC: A Photographic Tribute to Apple Innovation” is the ultimate must-have for any Apple aficionado. The hardcover recounts the past 30 years of Apple design, exploring some of the most visually appealing and significant products ever created by the Cupertino-based company. The commemorative piece features a special white clamshell case along with a custom PCB configured to pulse embedded LEDs — like that of a sleeping older generation Apple notebook when moved — controlled by an Atmel 8-bit AVR RISC-based MCU. The brainchild of Disney Research, HideOut explores how mobile projectors can enable new forms of interaction with digital content projected on everyday objects such as books, walls, game boards, tables, and many others. 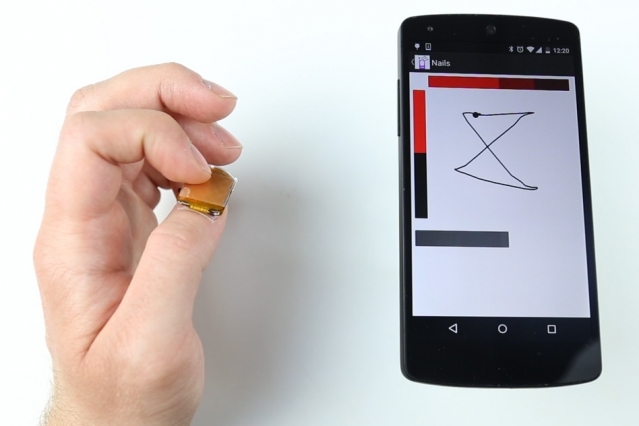 The smartphone-sized device enables seamless interaction between the digital and physical world using specially formulated infrared-absorbing markers – hidden from the human eye, but visible to a camera embedded in a compact mobile projection device. Digital imagery directly augments and responds to the physical objects it is projected on, such as an animated character interacting with printed graphics in a storybook. Created by Fabio Lattanzi Antinori, Dataflags is a narrative series of artwork that explores the financial troubles of corporations as they head towards bankruptcy, while highlighting the pivotal role data plays in today’s society. 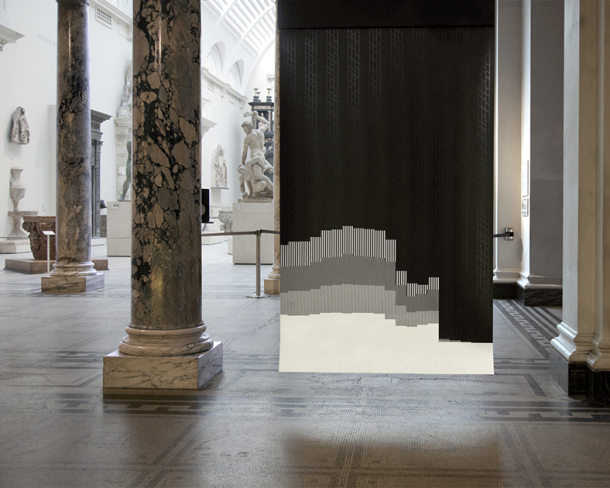 The piece — which was originally displayed in London’s Victoria & Albert Museum back in September 2014 — was powered by Bare Conductive’s incredibly-popular Touch Board (ATmega32U4) and some Electric Paint. The printed sensors were concealed by a layer of black ink, and when touched, triggered a selection of financial trading data theatrically sung by an opera performer. Have you ever judged a book by its cover? Well, Amsterdam creative studio Moore is turning the tables on the old-school idiom by designing a sleeve equipped with an integrated camera and facial-recognition technology that scans the face of whoever comes near. The idea behind the aptly named Cover That Judges You was to build a book cover that is human and approachable-hi-tech. If someone conveys too much emotion – whether overexcitement or under-enthusiasm — the book will remain locked. However, if their expression is free of judgement, the system will send an audio-pulse to an Arduino Uno (ATmega328) and the book will unlock itself. The built-in camera is positioned at the top of the book’s sleeve, above a screen that feeds back the image when it detects a face in close proximity. 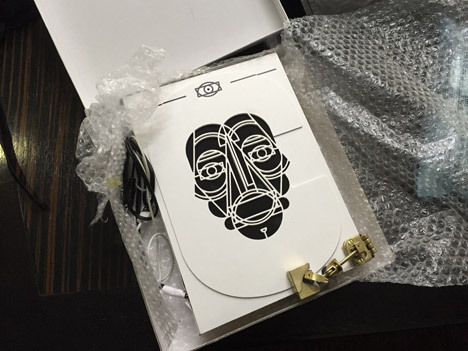 Artwork featuring abstract facial features is displayed on the cover so that the user can line up their eyes, nose and mouth in the optimum position. Once the correct alignment is obtained, the screen turns green and a signal is relayed to the Arduino that opens the metal lock. A team of MIT students unveiled a wearable book that uses networked sensors and actuators to create a sort of cyberpunk-like Neverending Story, blurring the line between the bodies of a reader and protagonist. The sensory fiction project — which built around James Tiptree’s “The Girl Who Was Plugged In” – was designed by Felix Heibeck, Alexis Hope, Julie Legault and Sophia Brueckner in the context of MIT’s Science Fiction To Science Fabrication class. The “augmented book” portrays the scenery and sets the mood, while its companion vest enables the reader to experience the protagonist’s physiological emotions unlike ever before. The wearable — controlled by an [Atmel based] Arduino board — swells, contracts, vibrates, heats up or cools down as the pages of the book are turned. Aside from 150 programmable LEDs to create ambient light based on changing setting and mood, the book/wearable support a number of outputs, including sound, a personal heating device to change skin temperature, vibration to influence heart rate, and a compression system to convey tightness or loosening through pressurized airbags. 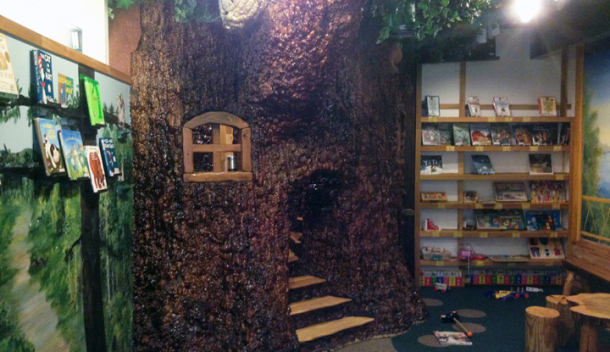 In an effort to bring more interaction to story time, Northwood’s Childrens Museum in Wisconsin created a storytelling tree capable of reading along with you. The old computers inside the the museum display were retrofitted with a Touch Board (ATmega32U4) from Bare Conductive. In fact, this was a welcomed replacement as one staff member said that the computers “broke constantly and hogged power, keeping us from updating sounds files periodically throughout the year.” Unlike its embedded predecessor, the MCU allowed sound files to be changed in an expedited manner, and was slim enough to nestle neatly into the trunk’s design. And what would a treehouse-like exhibit be without a makeshift walkie talkie comprised of cans strung together? Creatively, a set of headphones were also placed inside the can to make it exciting for participants to listen to the story. Makers Israel Diaz and Ingrid Ocana were on a mission to find new ways to bring children closer to the vast universe of reading. In doing so, the duo figured out a new way to enhance a traditional book with basic electronic components and some Arduino Uno (ATmega328) programming to interact with user intervention through simple built-in sensors, AC motors, LEDs and speakers. 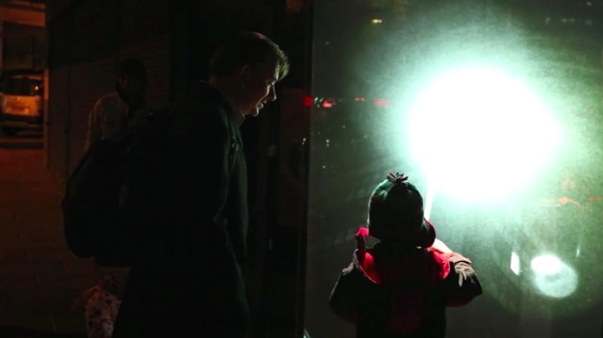 Night Sun is an interactive audiovisual installation which tells a story with the turn of a music box handle, powered by an ATmega32U4 MCU. In order to bring his idea to fruition, the Maker commissioned an Arduino Micro to control the exhibit. The Arduino was instructed to send a ‘play’ command to a computer when it sensed the touch of a passerby. Once the wired music box handle was turned, the window would light up. A pre-recorded sound would then send a signal to the computer and begin playing… and just like that, the story unfolds. A Maker by the name of Antonella Nonnis recently devised a unique interactive electronic book powered by two ATmega168 based boards. The book, titled “Music, Math, Art and Science,” was inspired by the work of Munari, Montessori and Antonella’s very own mother. The book contains movable parts and uses the electrical capacitance of the human body to activate sounds and lights and other sensors like a button for the math page. Comprised of recycled materials, the book is powered by a pair of Arduino Diecimila, which control the paper pop-up piano and the other controls the arts and science page. 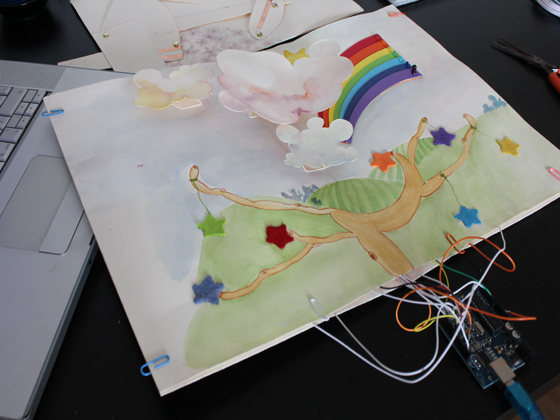 Footprints – which was prototyped using an Arduino Uno (ATmega328) – can best be described as a network of interactive soft puppets that help create and share illustrated stories. Designed by Simone Capano, the project links various aspects of a child’s life, including school and family, by collecting and storing relevant data in the cloud. Footprints is typically initiated by a parent. Using a smartphone, the parent can record a little vocal story, add some images proposed by Footprints about the story that was just told, like the story’s characters or other objects related to it. Afterwards, the parent can send it all to the child’s puppet. 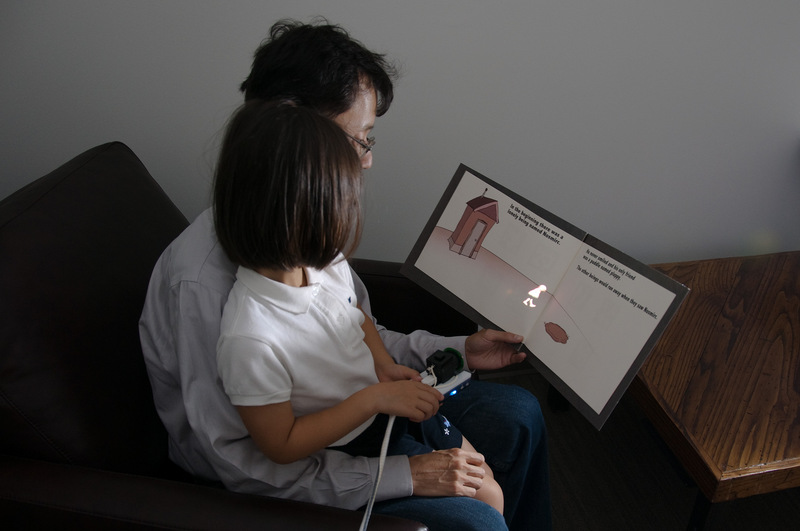 The child can then listen to the story by placing the puppet on the tablet and playing with the images he or she has received to create a drawing about the story. Once the drawing is complete, Footprints send it back to the parent who then tracks the path of the stories shared with a child via the smartphone app. 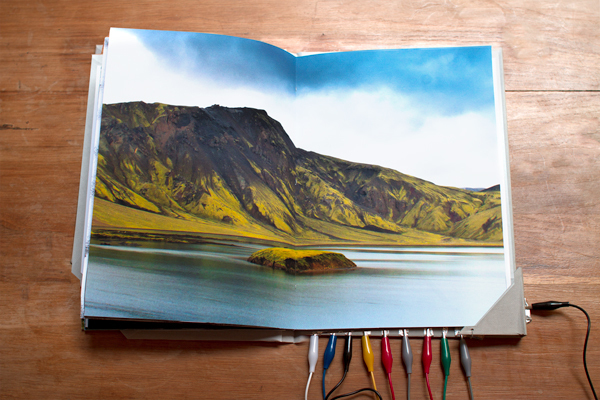 Created by Bertrand Lanthiez, Hvísl is described as “an invitation to both a visual and audible journey.” Pre-recorded sounds from Icelandic atmospheres are emitted with the help of electronic sensors hidden in some pages connected to a MaKey MaKey board (ATmega32U4). These effects accompany the reading and the contemplation of pictures from the country’s landscape. Tired of having to reread pages in because you forgot which paragraph you left off on? 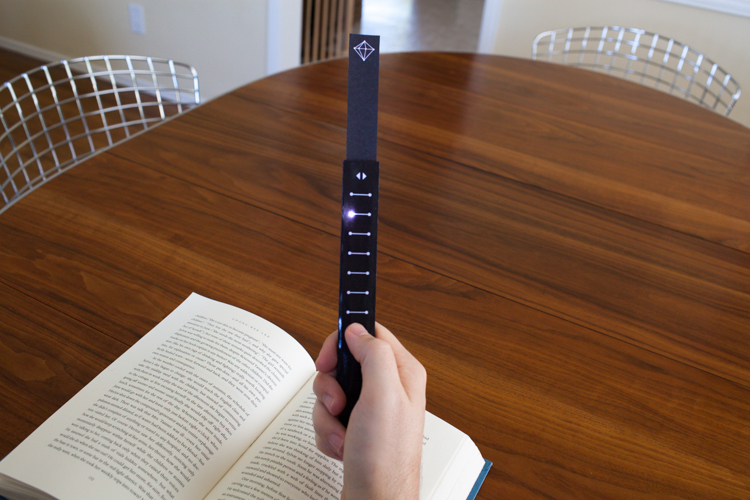 Devised by 7Electrons, the aptly named eBookmark is envisioned to serve as a bridge between analog and digital worlds. The device — which is based on an 8-bit AVR MCU, various Adafruit components, 16 tiny LEDs and a resistive touch strip — allows the reader to save his or her place on the page, and with a switch, also select the left or right page. The top portion of the eBookmark extends for use with larger books. Who could forget those ‘Choose Your Own Adventure’ books that became popular in the ‘80s and ‘90s? The series of children’s gamebooks where each story is written from a second-person point of view, with the reader assuming the role of the protagonist and making choices that determine the main character’s actions and the plot’s outcome. Similarly speaking, software developer Jerry Belich has created an interactive arcade machine that works on the same premise. 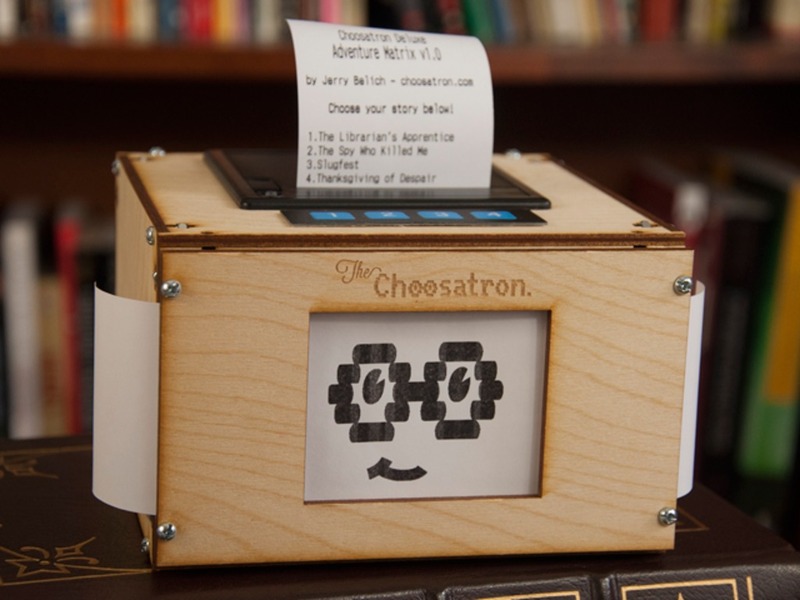 The Choosatron is an interactive fiction machine that lets users select the story, while it prints out a transcript of the chosen story paths. In essence, the machine is a cardboard box with a small thermal printer, a coin acceptor, a keypad, an SD memory card and an Arduino-compatible board. This entry was posted in Arduino, Arduino-Compatible, Maker Movement and tagged Adafruit, Arduino, Arduino Micro, ATmega168, ATmega328, ATmega32U4, AVR, Bare Conductive, Choosatron, eBookmark, Interactive Pop-up Book, LEDs, Makey Makey, MIT, Night Sun, sensory fiction on April 23, 2015 by The Atmel Team. Arduino’s acceptance into the biotech research community is evident from its increasing mentions in high-profile science and engineering journals. Mentions of Arduino in these journals alone have gone from zero to more than 150 in just in the last two years. While it may be best known as staple for hobbyists, Makers, and hackers who build on their own time, Arduino and Atmel have a strong and rapidly growing following among professional engineers and researchers. For biotech researchers like myself, experimental setups often require highly specific instruments with strict design rules for parameters such as timing, temperature, motion, force/pressure, and light. Such specific instruments would be time-consuming and expensive to have custom built, as the desired experimental conditions often change as we investigate different samples, cell types, etc. Here, Atmel chips and Arduino boards find a nice niche for making your own affordable, custom setups that are repeatable, precise, and automated. Arduino and Atmel provide microcontrollers in a myriad of form factors, I/O options, and connectivity that are available from a number of vendors. Meanwhile, freeware Arduino code and hardware drivers are also available with many sensors and actuators to go with your board. 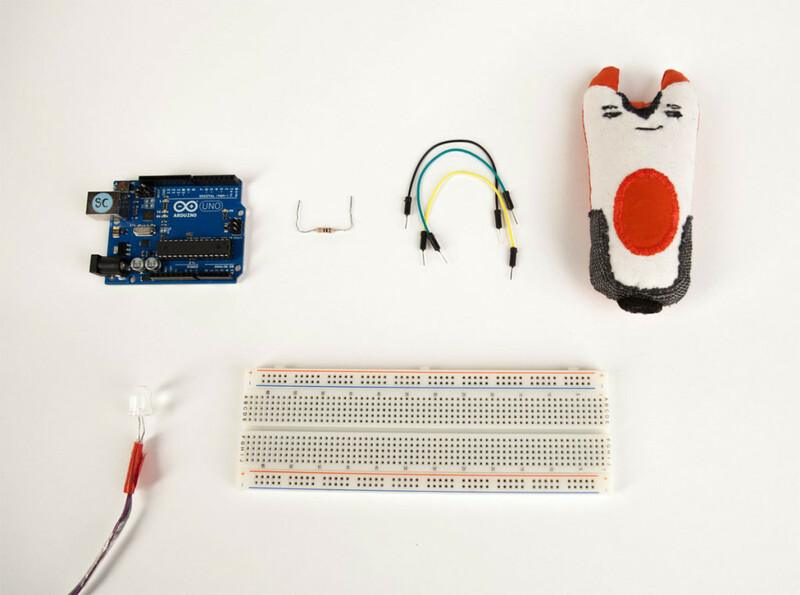 Best of all, Arduino is designed for a wide audience and range of experiences, making it easy to use for a variety of projects and complexities. So as experimental conditions or goals change, your hardware can easily be re-purposed and re-programmed according to specifications. Arduino’s acceptance into the biotech research community is evident from its increasing mentions in high profile journals in science and engineering including Nature Methods, Proceedings of the National Academy of the Sciences, Lab on a Chip, Cell, Analytical Chemistry, and the Public Library of Science (PLOS). Mentions of Arduino in these journals alone have gone from zero to more than 150 in just in the last two years. In recent years, Arduino-powered methods have started to appear in a variety of cutting edge biotechnology applications. One prominent example is optogenetics, a field in which engineered sequences of genes can be turned on and off using light. Using Arduino-based electronic control over lights and motors, researchers have constructed tools to measure how the presence or absence of these gene sequences can produce different behaviors in human neurons  or in bacterial cells . Light and motor control has also allowed for rapid sorting of cells and gene sequences marked with fluorescent dyes, which can be detected by measuring light emitted to photodiodes. While the biology driving this research is richly complex and unexplored, the engineering behind the tools required to observe and measure these phenomena are now simple to use and well-characterized. 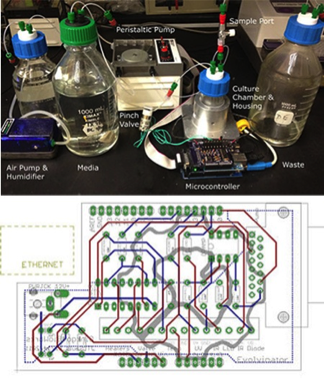 Arduino-based automation can be used for supplanting a number of traditional laboratory techniques including control of temperature, humidity, and/or pressure during cell culture conditions; monitoring cell culturing through automated sampling and optical density measurements over time; neurons sending and receiving electrochemical signals; light control and filtration in fluorescence measurements; or measurement of solution salinity. This kind of consistent, automated handling of cells is a key part of producing reliable results for research in cell engineering and synthetic biology. Arduino has also found an excellent fit in the microfluidics community. Microfluidics is the miniaturization of fluid-handling technologies—comparable to the miniaturization of electronic components. The development of microfluidic technologies has enabled a myriad of technical innovations including DNA screening microchips, inkjet printers, and the screening and testing of biological samples into compact and affordable formats (often called “lab on a chip” diagnostics) . Their use often requires precise regulation of valves, motors, pressure regulation, timing, and optics, all of which can be achieved using Arduino. Additionally, the compact footprint of the controller allows it to be easily integrated into prototypes for use in medical laboratories or at the point of care. Recent work by the Collins and Yin research groups at MIT has produced prototypes for rapid, point-of-care Ebola detection using paper microfluidics and an Arduino-powered detection system . Finally, another persistent issue in running biological experiments is continued monitoring and control over conditions, such as long-term time-lapse experiments or cell culture. But what happens when things go wrong? Often this can require researchers to stay near the lab to check in on their experiments. However, researchers now have access to on-board wi-fi control boards  that can send notifications via email or text when their experiments are completed or need special attention. This means fewer interruptions, better instruments, and less time spent worrying about your setup. True to Arduino’s open-source roots, the building, use, and troubleshooting of the Arduino-based tools themselves are also available in active freeware communities online –. Simply put, Arduino is a tool whose ease of use, myriad applications, and open-source learning tools have provided it with a wide and growing user base in the biotech community. Melissa Li is a postdoctoral researcher in Bioengineering who has worked on biotechnology projects at UC Berkeley, the Scripps Research Institute, the Massachusetts Institute of Technology, Georgia Institute of Technology, and the University of Washington. She’s used Arduino routinely in customized applications in optical, flow, and motion regulation, including a prototype microfluidic blood screening diagnostic for measuring the protective effects of anti-thrombosis medications , . The opinions expressed in this article are solely her own and do not reflect those of her institutions of research. L. J. Bugaj, A. T. Choksi, C. K. Mesuda, R. S. Kane, and D. V. Schaffer, “Optogenetic protein clustering and signaling activation in mammalian cells,” Nat. Methods, vol. 10, no. 3, pp. 249–252, Mar. 2013. E. J. Olson, L. A. Hartsough, B. P. Landry, R. Shroff, and J. J. Tabor, “Characterizing bacterial gene circuit dynamics with optically programmed gene expression signals,” Nat. Methods, vol. 11, no. 4, pp. 449–455, Apr. 2014. E. K. Sackmann, A. L. Fulton, and D. J. Beebe, “The present and future role of microfluidics in biomedical research,” Nature, vol. 507, no. 7491, pp. 181–189, Mar. 2014. K. Pardee, A. A. Green, T. Ferrante, D. E. Cameron, A. DaleyKeyser, P. Yin, and J. J. Collins, “Paper-Based Synthetic Gene Networks,” Cell. “Evolvinator – OpenWetWare.” [Online]. Available: http://openwetware.org/wiki/Evolvinator. [Accessed: 12-Jan-2015]. “Open Ephys,” Open Ephys. [Online]. Available: http://www.open-ephys.org/. [Accessed: 12-Jan-2015]. Boyden, E. “Very simple off-the-shelf systems for in-vivo optogenetics”. http://syntheticneurobiology.org/protocols/protocoldetail/35/9 [Accessed: 12-Jan-2015]. “Arduino Yun”. 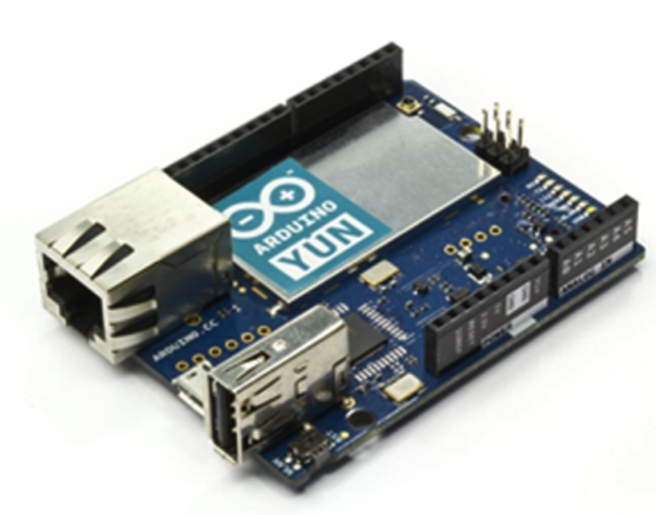 http://arduino.cc/en/Guide/ArduinoYun [Accessed: 12-Jan-2015]. “Can aspirin prevent heart attacks? This device may know the answer,” CNET. [Online]. Available: http://www.cnet.com/news/can-aspirin-prevent-heart-attacks-this-device-may-know-the-answer/. [Accessed: 12-Jan-2015]. M. Li, N. A. Hotaling, D. N. Ku, and C. R. Forest, “Microfluidic thrombosis under multiple shear rates and antiplatelet therapy doses.,” PloS One, vol. 9, no. 1, 2014. This entry was posted in Arduino, Engineering Perspectives, Maker Movement and tagged 32-bit ARM Core, 8-bit and 32-bit AVR and ARM microcontroller, Arduino, Arduino based electronics, Arduino boards, ARM core, Atmel ARM-based Microcontroller, Atmel microcontrollers, Bio Tech, Bio Technology, Evolvinator, Georgia Institute of Technology, Lab on a Chip, Massachusetts Institute of Technology, Microfluidics, MIT, Open Ephys, Open Source Shields, OpenWetWare, paper based synthetic gene networks, PloS One, SparkFun, UC Berkeley on February 24, 2015 by melell.